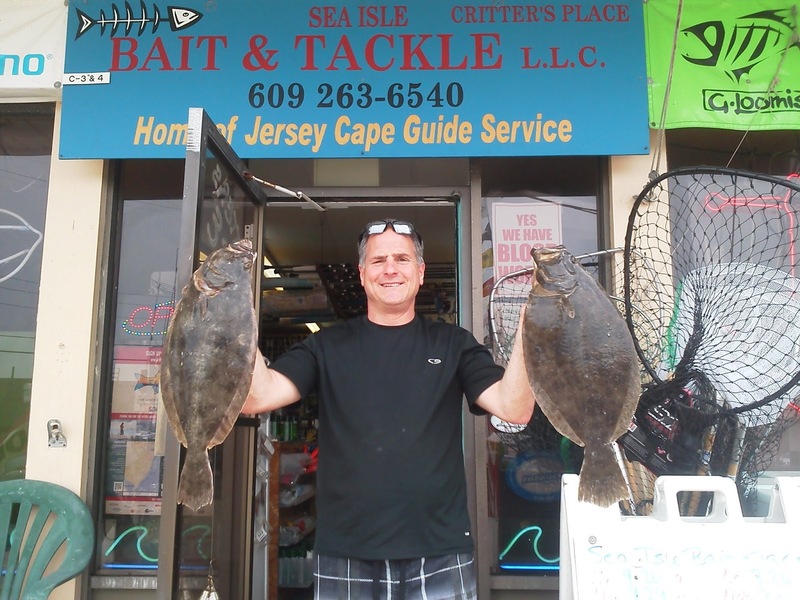 Tony C. from Warminster PA. was just in with his brother they had 9 keepers this morning. The heaviest where 5 pounds 11 ounces and 5 pounds 3 ounces. He said it was some of the best fishing he has seen in a long time. 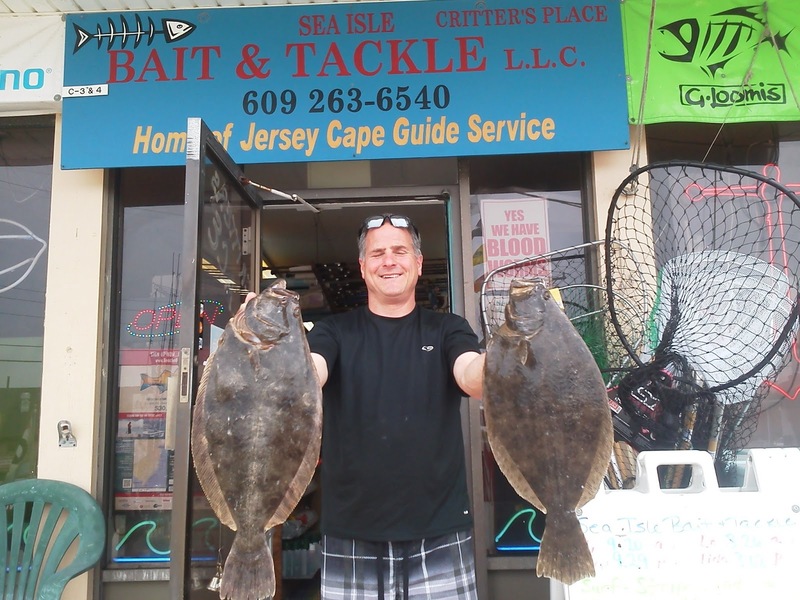 The flounder bite has really been heating up get out there be for they move into the ocean. This picture is from the middle of the week its my buddy Chris H fishing with another buddy Dr. Tom. 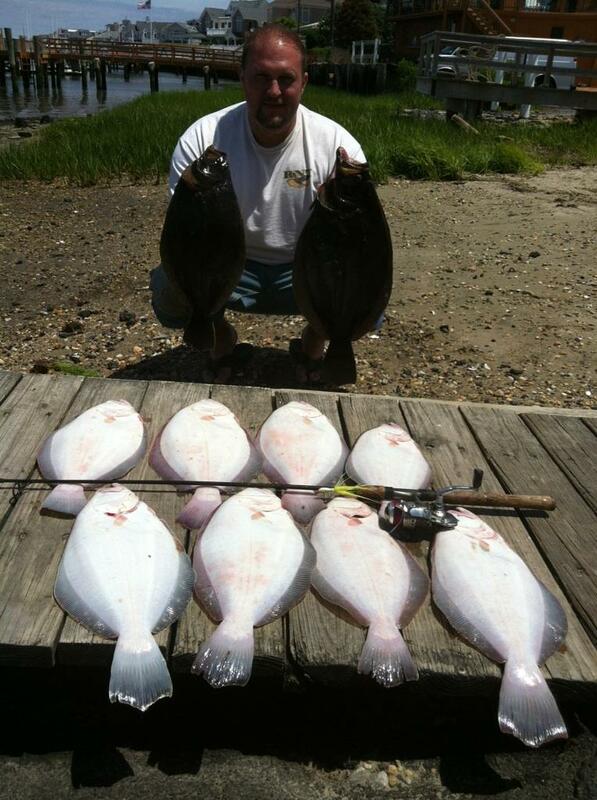 They where fishing be hind Somers point and had a great after noon. 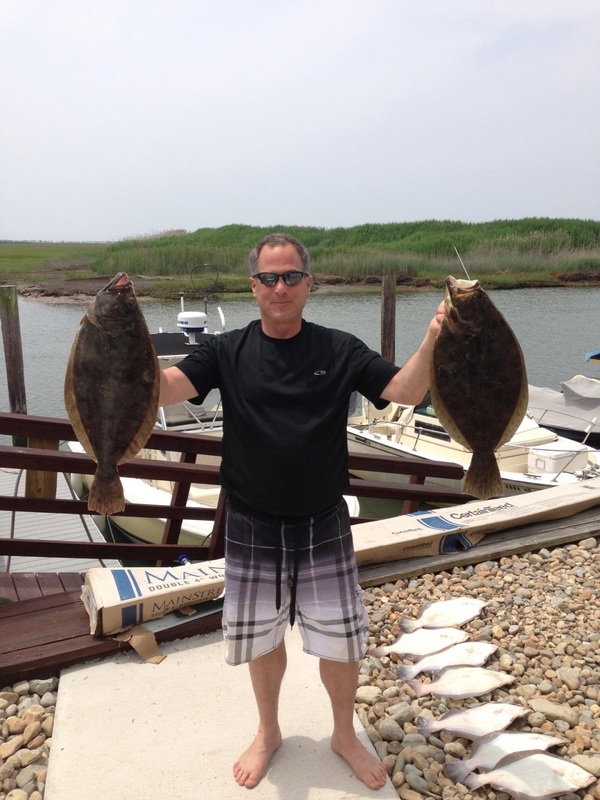 They worked hard for them but ended up with a limit of real nice flounder. Crazy chartreuse Spro buck tails and a variety of GULD! Baits where the ticket. Mostly chartreuse 3 inch swimming mullet.